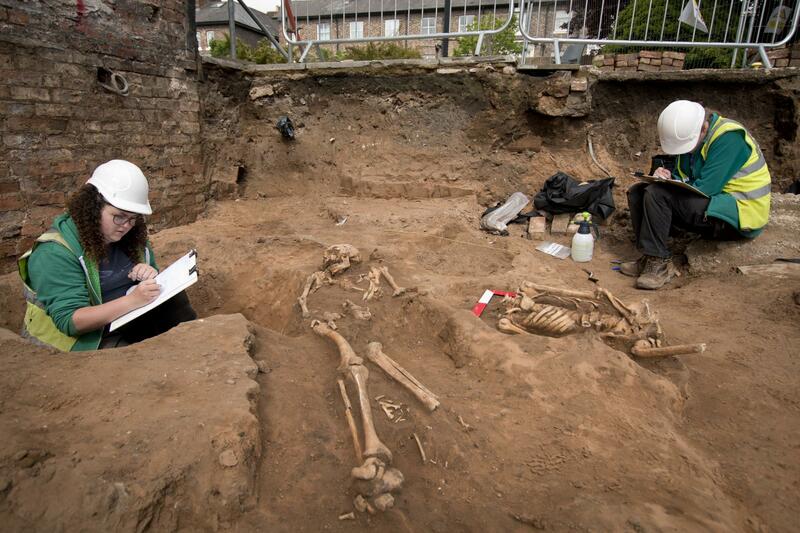 Human remains from a Roman burial ground have been discovered underneath the swimming pool of a defunct hotel in York. 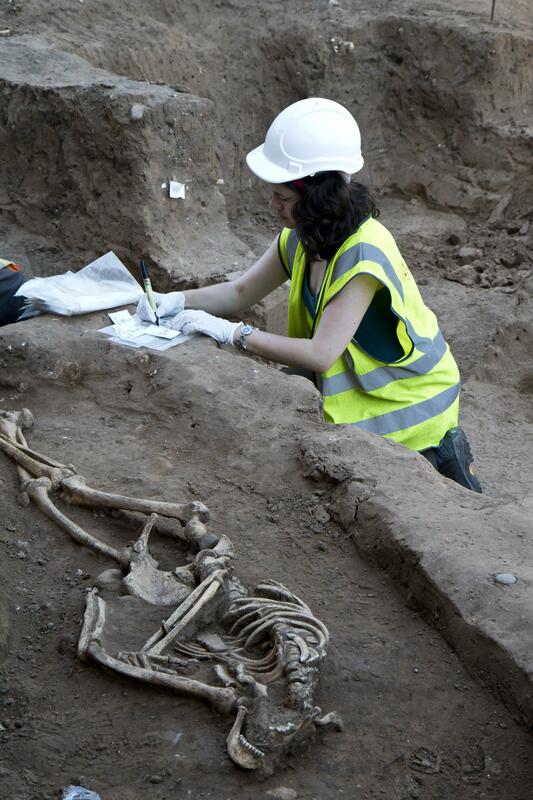 Builders working on the redevelopment of the historic Newington Hotel into seven housing units came across the bones and experts from the York Archaeological Trust, on site to survey the restoration, excavated the find. Over the course of three months, they unearthed evidence of approximately 75 graves and the skeletal remains of more than 60 individuals. The graves were shallow which had made them more susceptible to the ravages of later agricultural and construction activity. 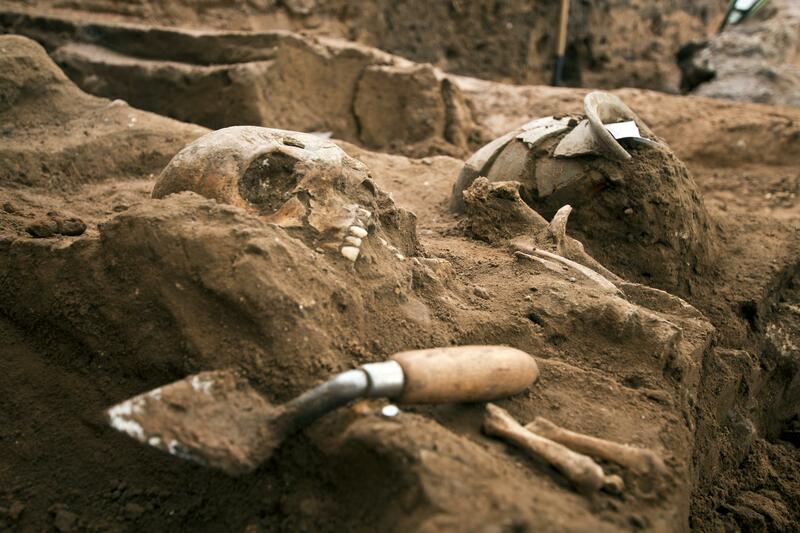 Layers of medieval plough soil were found above the graves, some with fragments of bone and pottery, and home construction in the 1820s disturbed the burials as well. 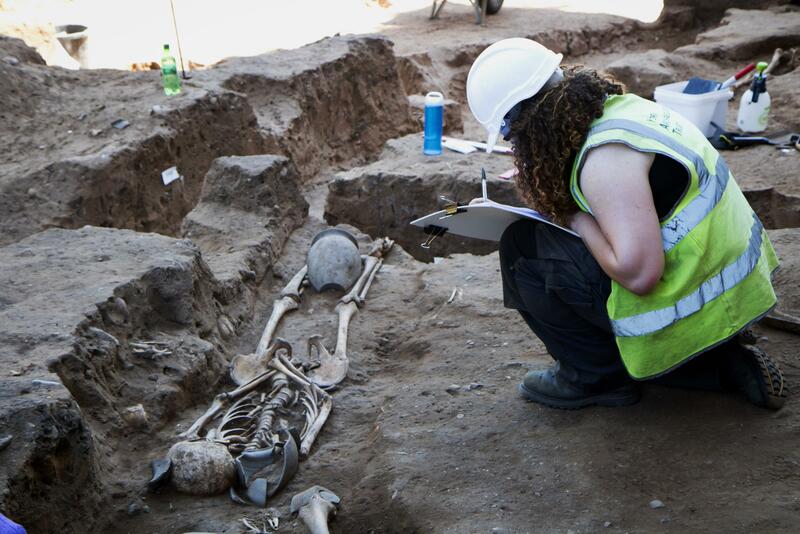 Only 10% of the skeletons were discovered intact, but thankfully those 10% were in good enough condition for osteological examination and stable isotope testing to tell us more about how the regular folk of Roman York lived. Even before the medieval and modern earth-churning, the cemetery was in use for so long that newer graves cut through poorly marked older ones. The discovery of the Roman graves at this site does not come as a surprise. The road is an offshoot of the main Roman road that ran between York and Lincoln, and Roman burials were largely concentrated along roadsides. The property nearest the city was the most expensive, used by the elite to showcase their extravagant tombs. The farther away from the city they got, the more modest the graves. The burials at what would become the Newington Hotel on Tadcaster Road were in the latter category. 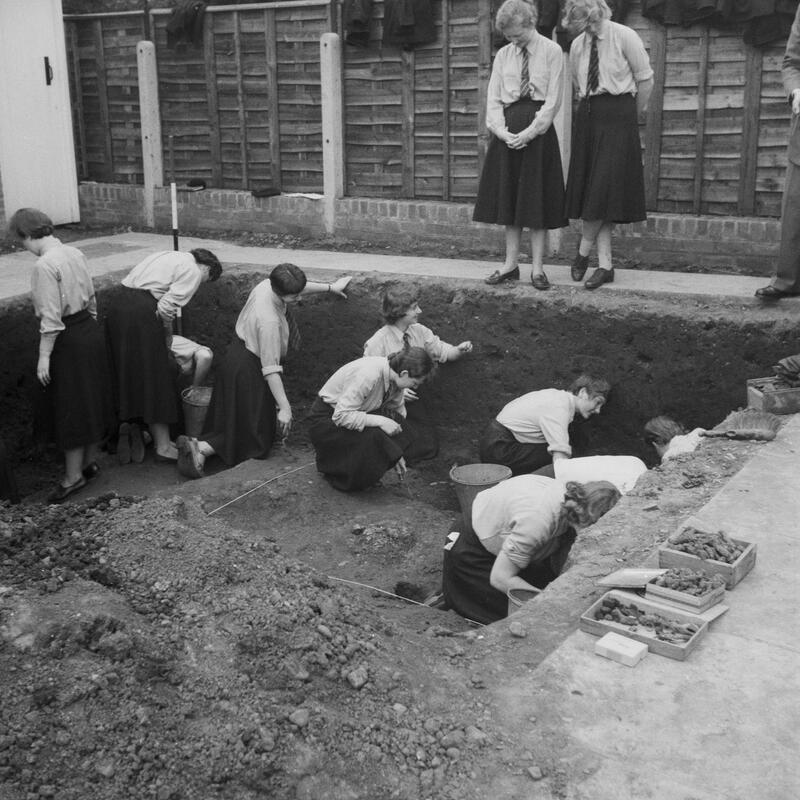 The people under the swimming pool were buried in simple graves with no elaborate markers. Their grave goods consisted almost entirely of inexpensive earthenware pottery. Only two of the graves held anything else. One contained a jet pin, the other the remains of a copper alloy head ornament. These inexpensive objects were likely part of the deceased’s funerary styling, not separate grave goods. Still, the pots that were found in graves are in excellent condition, practically mint. Archaeologists suspect they were bought for the funeral rather than pieces the deceased used in their lifetimes. Cemeteries have been found before in this area. 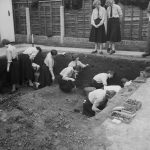 An excavation at nearby Trentholme Drive in the 1950s — one of the first burial grounds from Roman Britain to be fully published — revealed a cemetery that archaeologists now believe was part of a larger complex that included the Newington Hotel graves. 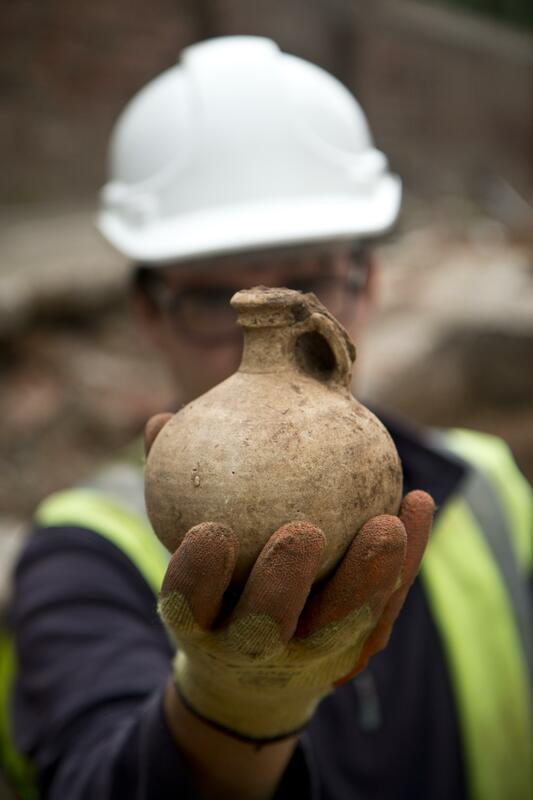 The dig site will be open to the public on June 22nd from 1-2PM.